Once again, as we are beginning to get the camp grounds ready for our summer sessions, we have special needs that continue to present themselves as items that we are not able to cover with our small monthly budget. 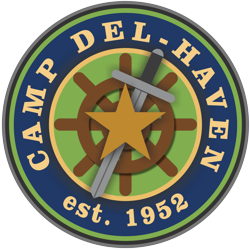 We are so thankful to the Lord that he continues to sustain the ministry of Del-Haven in such a way as we can operate without charging a single child to attend a camp session. We have included some of the special items that we know will be needed to be covered again this summer. We are so thankful to the Lord and to those of you who have prayed with us and even given toward meeting the extra needs we had last year. After 65 years, many of our buildings are showing their age and are in great need of maintenance. You will notice, that the Lord has already began providing for the needed repairs in the kitchen area and the shower house. Many of our buildings (6 cabins, Dining Hall) need a new coat of paint = $900.00. $201 has already been given for this project. Kitchen Cabinets = The current estimate we have is $6,700. $4,129.92 has already been given for this project. Shower House updates and repairs = currently have $3,800 toward this project. The estimate, though not finalized, will probably be about $1,200 more.